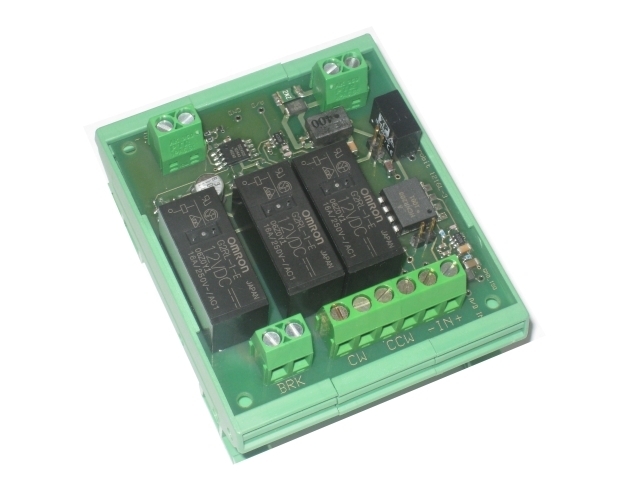 To get a more stable reading when using the Rotorinterface 1216L the capacitor C11 can be replaced by a 10nF capacitor. Even easier is to put a 10nF capacitor in Parallell with C11. 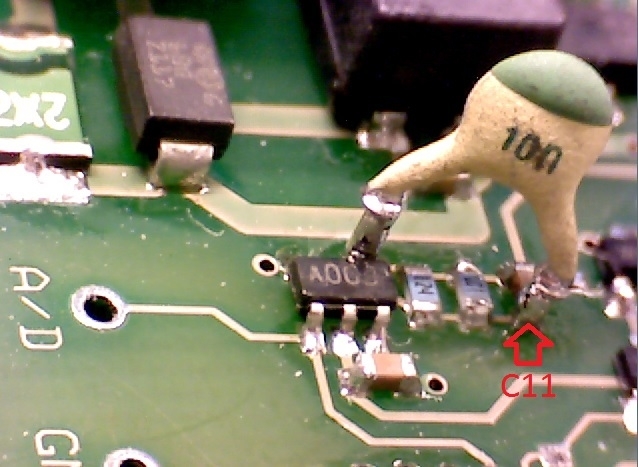 The picture below show how a ceramic capacitor can be soldered in parallell. One pin is sodlered to C11 and the other to the pin on the IC. Factory modified pcbs are marked with a sticker “10nF”.